252 pages | 5 B/W Illus. 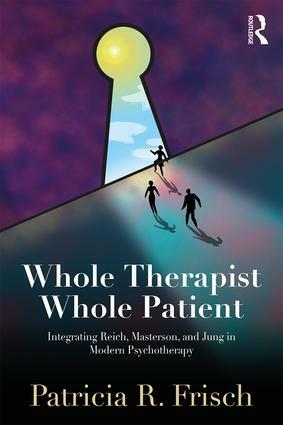 Integrating the work of Reich, Masterson, and Jung, Whole Therapist, Whole Patient is a step-by-step guidebook for professionals to learn about the psychology of their patients and conduct treatment in a dynamic way. This text combines Reich’s character analyses, Masterson’s work on personality disorders, and Jung’s dream analyses to create a clear typology of character types that therapists can use to understand themselves and their patients. Also included are case management techniques and guidance for working with difficult patients. In addition, readers can turn to the book’s online resources to access a downloadable patient package, case presentation guide, and psychological history form. "Whole Therapist, Whole Patient is a great integrative clinical work that lives up to its holistic promise. Dr. Frisch creatively updates and builds on the solid foundation of Reich's seminal theory of character formation. The generous provision of client case material fleshes out the concepts in this model of clinical-theory writing. An excellent integration of Reich, Masterson, and Jung with interpersonal neurobiology and attachment theory, this work will help the contemporary clinical discussion of whole person models of psychotherapy." "Drawing from and expanding upon Wilhelm Reich’s integrated character and somatic approach to psychotherapy, Dr. Patricia Frisch offers her readers a clear and often-needed direction in the nuts and bolts of how to engage clients in the process of psychotherapy and work through the complex patterns of character defenses and resistances that can interfere with therapeutic success. This text is accessible and valuable to both beginners in the field as well as experienced clinicians." "In bringing together three of the most significant theorists of modern psychology—Wilhelm Reich, James Masterson, and Carl Jung—Patricia Frisch has developed distinct ways of championing the revitalization of Reichian theory and practice toward a masterful blend in which the body remains at the center of the work. Whole Therapist, Whole Patient is a must read, both for senior practitioners who will be guided to develop their own work to the next level of sophistication as well as for graduate students who will learn grounded theory and practice toward the integration of soma and psyche." Patricia R. Frisch, PhD, MFT, is a licensed psychologist, as well as founder and executive director of the Orgonomic Institute of Northern California (OINC), where she mentors, supervises, and trains professionals in character analysis, somatic interventions, and diagnostic typologies. She authored a chapter in Encyclopedia of Theory in Counseling and Psychotherapy (SAGE Publications, 2015). Dr. Frisch also maintains an active private practice in Mill Valley, California.